Take a moment to yourself, relax, and let the demands of the day float away. This reclining loveseat is the perfect place to unwind, with its fully-upholstered chaise legrests, and plushly pillowed back cushions. Flared arms with an extra layer of padding add both comfort and a dash of modern style to the mix. 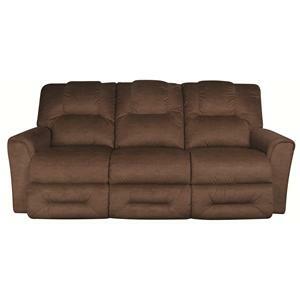 The Easton Console Loveseat by La-Z-Boy at Morris Home in the Dayton, Cincinnati, Columbus, Ohio, Northern Kentucky area. Product availability may vary. Contact us for the most current availability on this product. Movie night or Sunday afternoon football, every gathering at your house is better when everyone's comfortable and happy. 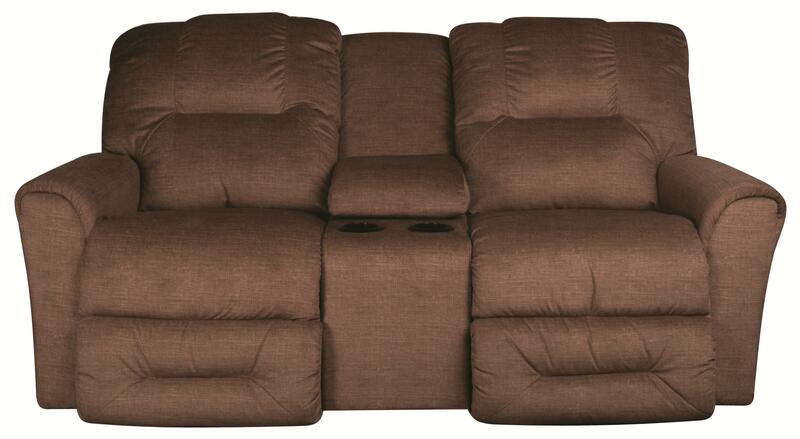 Your family won't have any complaints when they're snuggled into this reclining sofa or chair. 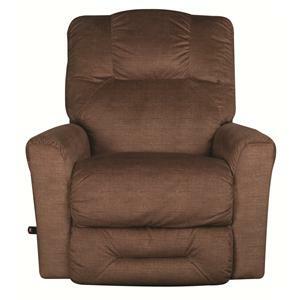 These contemporary-casual recliners show off a style that fits easily into any family room or home theater, with subtly flared arms, split backs, and decorative topstitching. Additional options include power recline, chair with heated massage, and a reclining loveseat with storage and cupholders.